Scorching Slots Casino was born in March. It was created by Nektan which is a top casino operator that is based in Gibraltar. The philosophy of Nektan is quite simple. Compatibility with mobile devices is not negotiable. This is a genius move as we almost always go everywhere with our smartphones. By implication, playing your favourite games on your mobile devices just got better. However, this doesn’t mean that you cannot play on your PC too. Scorching Slots Casino has an extensive jurisdiction. UK-based players have absolutely nothing to worry about. This is because Scorching Slots Casino is endorsed by the UKGC and the GGC. Bonus and promotions are inherent in modern day online gaming. For every new player, Scorching Slots Casino is conscious of your expectations. Starting with your first to your third consecutive deposit, you will receive $500 and 100 extra spins to play Da Vinci’s Diamonds. Automatically, your fourth deposit qualifies you into the Scorch Slots Casino VIP program. Before you get too excited, The Scorching VIP program has four tiers. So you have three more steps to climb to become a VIP elite. With the fantastic welcome bonus that you have received already, it is nothing compared to the lifelong benefits of being a VIP member. Scorching Slots Casino treats you like you are the only customer they’ve got. While you are still trying to find your way to the top, there are loads of other promotions to keep you going. The new games Thursday, match and spin Monday among others are there to earn you some extra spins and real cash. 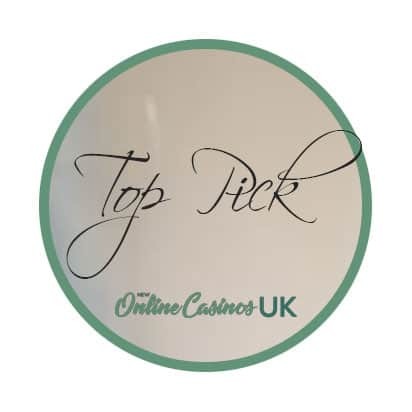 If you are only interested in no deposit casino you can find our exclusive guide to all no deposit casinos HERE. The lobby has a straightforward design. Once you are there, its straight to business. On the heart of the website, the most recent additions are seen moving from left to right. Afterwards, there is a list of some of the sites most popular games. The fact that you cannot find your favourite game on the landing page does not make it any less important. There are several other categories for you to choose from. From the name, you should know what to expect. It’s called “Scorching Slots” for a reason. This in addition to the fact that it is a subsidiary of Nektan translates Scorching Slots Casino to a home for the best slot games. Hotline, Aggardiant stones, Eljackpotto, Elephant King, king kong cash, 100 pandas, 100,000 pyramids, 50 dragons, 100 ladies, Amazon queen, Auto roulette, Adella the fortune wielder and a host of others. Scorching Slots Casino is one of the heirs of Nektan limited. By implication, they have access to all the games and software providers by default. Consequently, Scorching Slots Casino is kicking off in style.There are more than 300 games courtesy of over 15 software developers. A new set is added every day. At Scorching Slots Casino, trying out new things should not scare you. That’s because there is a demo version to help put you in the mood. As already mentioned, compatibility is not an issue at Scorching Slots Casino. You do not need to install any additional plug-in like Adobe Flash player. The games are strictly in HTML5 format. So whether you chose to play on mobile phones or your PC, it is going to be the same user experience. Safety is a requisite for kickoff. By implication, Scorching Slots Casino cannot become fully operational if the general security requirements have not been fully met. In their privacy section, Scorching Slots Casino explains how and what they do with the information you share with them. By obligation, this information shall and will not be released to any third party. Also, measures are put in place to prevent hacking by using only the best encryption technology. Concerning being there for you, Scorching Slots Casino has several helplines. There is a designated email to handle queries and complaints. Also, they also have a telephone line. Typically, the lines are open only during working hours and working days. The same applies to email support. Currently, the live support feature is also only available during working hours and regular business days. This leaves you entirely in the dark at weekends and night. Also, whether you are Finish or Swedish or German or English, Scorching Slots Casino understands your language. The Payment design at Scorching Slots Casino is geared towards making life very comfortable. You need not worry about whether or not you will receive your payment. All earnings will be sent to the selected account at the right time. In this context, the right time can mean a lot of things. Scorching Slots Casino understands that for customers, an instant withdrawal is the only correct definition of ‘right time’. However, to ensure safety, there is need to verify any transactions that are going out from your account. This is for your good. Scorching Slots Casino only demands a maximum of 24 hours to carry out this verification, and afterwards, the rest depends on the payment platform you have selected. Talking about platforms, you will find out that there are quite a number of them. Just down the lobby on the website, you will find the payment options they have. Location can limit your access. However, Scorching Slots Casino has ensured that every player would have different options to chose from. While you are making your choice from the list that is available to your location, be careful also to determine based on the available information on each payment option stated in the FAQ section. While some payment options require processing fees, some others don’t. Also, the loading, transaction limits (whether deposit or withdrawal) varies. On a final note, Scorching Slots Casino is not without some pitfalls. Not everyone will be willing to wait for a couple of days to receive their funds. Also, the withdrawal limit is quite low. However, at Scorching Slots Casino, these are all measures to serve you better in the long run. Get used to doing things the Scorching way, and you would love them even more.